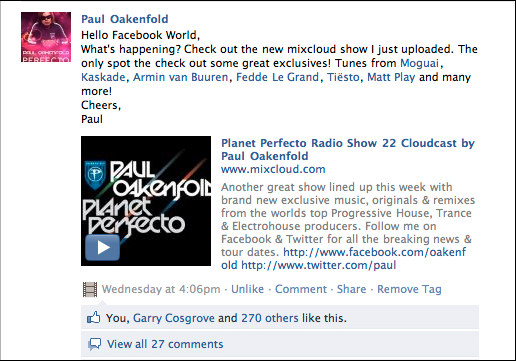 Electronic music legend Paul Oakenfold supports Matt Play's remix of his own track, Vulnerable feat Bad Apples, from his artist album A Lively Mind. Paul gives Matt a shot out on his Planet Perfecto Radio Show syndicated around the world, as well as in his Planet Perfecto Podcast. Plus a friendly tag through his Facebook & Twitter.